View complete map featuring tram and train lines! Australia's second largest city has some 4.8 million inhabitants. 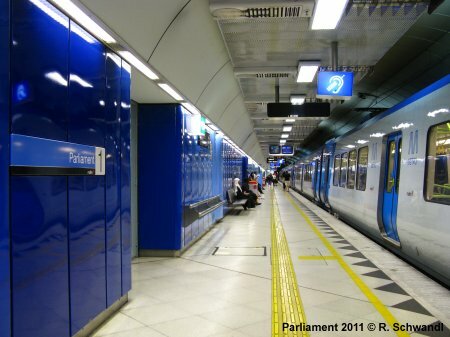 The rapid rail system serving the Melbourne is actually not a metro or subway service in the classical sense but a frequent suburban train service which runs in a 4-track underground loop in the centre of Melbourne. 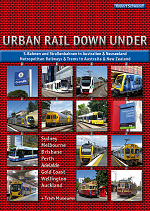 Depending on the time of the day trains run around the city loop clockwise or anti-clockwise. Sandringham trains leave from Flinders Street station without running around the loop. 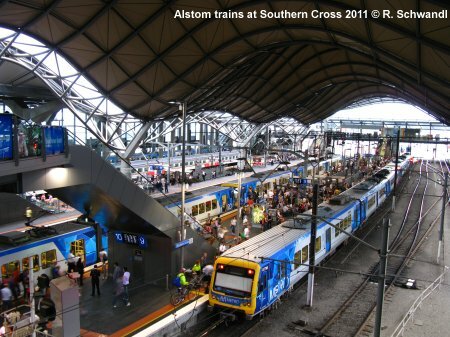 Stations on the suburban network are closely spaced, some 500-1000 m apart, but there are numerous level crossings on most routes outside the central area. 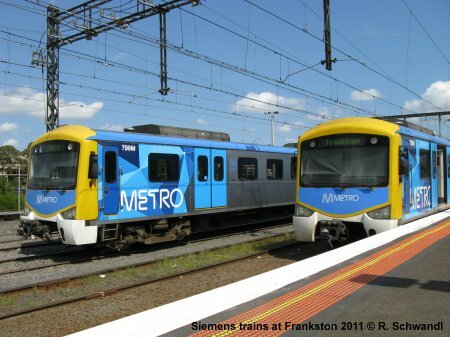 Since 2009, the Melbourne metropolitan rail system (1600 mm gauge) has been operated by Hong Kong's MTR, now branded as "Metro". 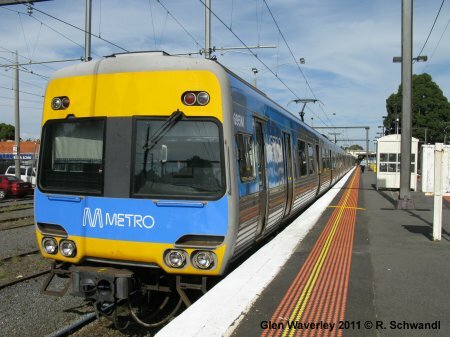 Apart from the metropolitan trains, Melbourne has the largest tram network in the world with approx. 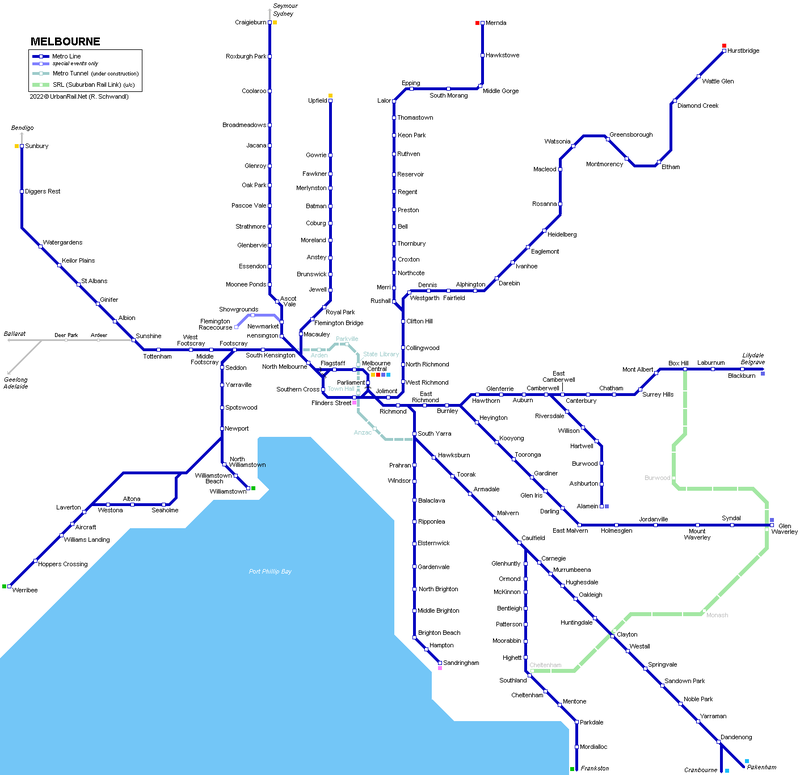 250 km of double-track routes (Yarra Trams). View complete map featuring tram and train lines.